Why Do We Fry Food In Oil? Everyone has a guilty pleasure when it comes to food, and for many people around the world, particularly certain areas in the United States, there is simply nothing better than fried food to hit that sweet spot of craving. 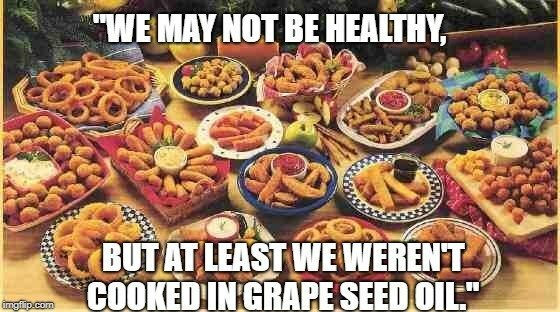 However, as anyone who truly loves this decadent food knows, it isn’t the healthiest choice for life, specifically when it comes to cardiovascular health. Eating a lot of fried food may be delicious, but it can cause major health issues, which begs the question, is frying food in oil the only way to achieve that crispy deliciousness? Well, the answer to that question isn’t as simple as you may expect. Before we can judge whether there are any alternatives, it is important that we understand why we use oil to fry food in the first place! Buying a deep-fried Snickers bar at a county fair may seem like a modern phenomenon, capable of being dreamed up only by modern gluttons, but in fact, frying food has been around for at least 2,500 years. Yes, in ancient Greece, people were enjoying the pleasure of fried chicken long before Colonel Sanders ever dreamed up the idea for KFC. This food phenomenon has also been a part of western European culture for more than 700 years, although it was perhaps not as beloved as fried food is today. 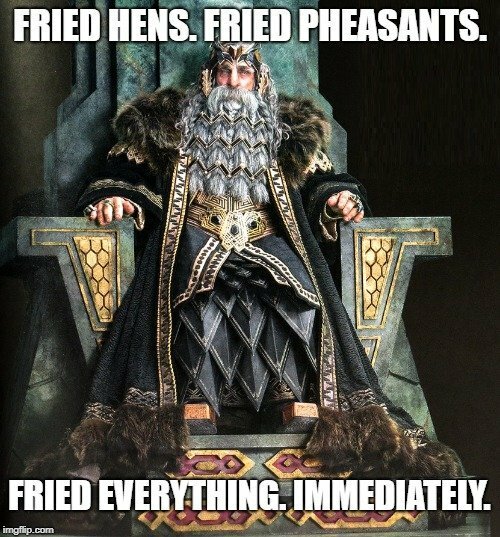 When food is fried, a few different things happen at the same time. First of all, fried food is usually coated in some sort of barrier, often cornstarch or flour, which will rapidly crisp up when it is exposed to the higher temperatures of frying oil. 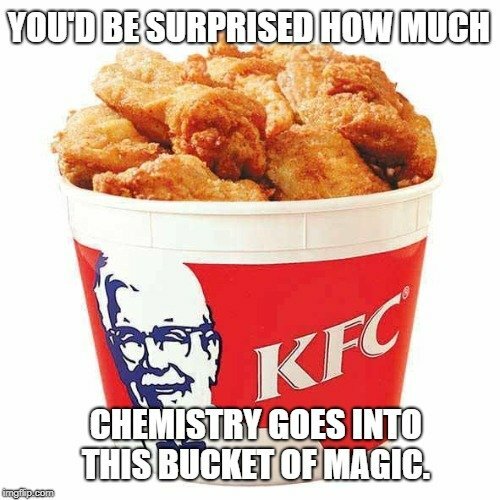 Between 140 and 160 degrees Celsius, a specific reaction (Maillard Reaction) will occur, which causes the delectable taste and golden-brown appearance of fried food. At the same time, the water inside the food will begin to boil and turn into steam, which can effectively cook the food from the inside out and strengthen the dried crust around the food. The crispy shell will also help to keep some of that steam trapped to more evenly cook the food. Basically, the short answer to the question of “why do we use oil to fry food” is because it has an ideal chemical composition for the right reactions to occur and produce a delectable dish. Is There Anything Else We Can Use? Now that you understand why we use oil to fry food, the next question should be obvious: Given the health risks associated with fried food, and their significantly higher calorie counts, are there any other options for frying food that will be quite as delicious? Unfortunately, if you want a food to be properly fried, oils and natural fats are the only viable options, but that doesn’t mean that all oils and fats are created equally. Coconut oil is largely considered to be the healthiest oil to cook in, although it can be quite a costly endeavor. Coconut oil is composed primarily of saturated fats, which are very resistant to heat, meaning that the same oil can be used repeatedly without the quality degrading. When choosing any oil to fry your food in, you should pick one with a high ratio of saturated fats to unsaturated fats. Aside from coconut oil, many of the oils mentioned above will suffice, including flaxseed oil, rice brain oil, vegetable oil and cottonseed oil. These will vary slightly in terms of cost and flavor, but should produce that golden-brown exterior you are looking for. If you don’t want the flavor of your food to be affected, aim for using an oil with a mild or neutral taste. Olive oil, peanut oil and avocado oil are also excellent alternatives to boring vegetable oil if you want a slightly healthier option, in terms of fat balance. Vegetable oils are preferred, but animal fats can also work for your frying needs. Ghee, tallow and lard have been used throughout history to fry food, which can produce more of a savory flavor, one that many people appreciate, although this can be even less healthy and add more fat intake to your meal. While you can be somewhat experimental with the oils you use for your deep-frying dreams, there are some oils that should be strictly avoided, as their polyunsaturated fat content is very high. These are often called industrial vegetable oils, and they are less resistant to heat, and more likely to release toxins when used in frying at high temperatures. 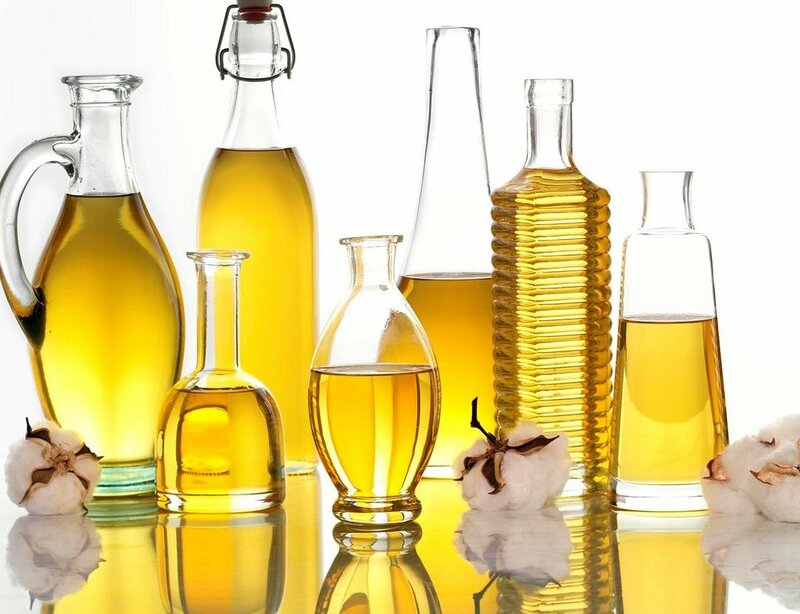 Some of the oils you should always avoid include safflower oil, grape seed oil, sunflower oil and corn oil. 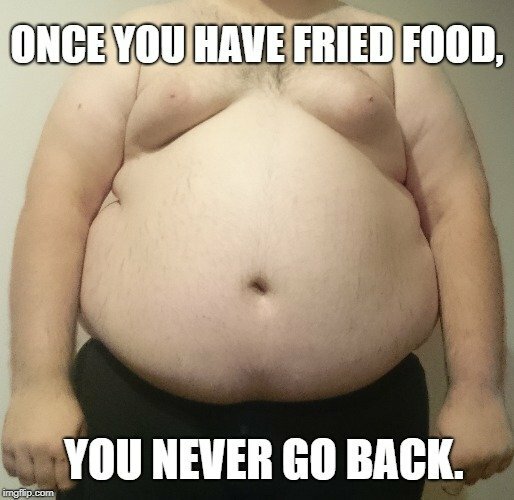 While fried food is undeniably delicious, it should only be added to your diet on occasion. Cooking food in other ways can be much healthier, and you can better control the amount of calories and fat that your meals contain. That being said, there is nothing better than a piece of delectable fried chicken from time to time, provided you’re using the right oil to fry it.